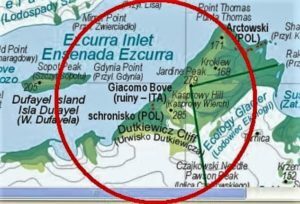 II3BOVE is one of the Special Callsign to be aired, along with several others, within the initiatives of the 15th Antarctic Week 2018 scheduled from 17 to 25 February. In particular II3BOVE (WAP-271) aims to remember the first Italian Scientific Base in Antarctica, set in January 1976 by Cav. Renato Cepparo (I2VZP) and named after Giacomo Bove, the Italian explorer who at the end of 1800 sailed to the South to arrange an expedition on the Antarctic Continent. The Base, was active until 20th February 1976 as I1SR/MM. Following some strange political events of the time, the Base donated by the Italian Government to Argentina, was destroyed only eight months after its construction and now only a stone path remains to remember its foundations. II3BOVE wish to recall the facts and remember the memory. In the 15th edition of the AAW 2018, however, II3BOVE will have an even higher meaning in the spirit of W.A.P. In fact, it will be the name that on 24 and 25 February will inaugurate the Ham radio station permanently set up at “Malignani 2000”, a Technical Institute in Cervignano del Friuli ITALY (JN65qt). The students of the institute, supported by some local radio amateurs, will be able to immerse themselves and firsthand experience to the radio world and to share the constant support that, this activity promotes with scientific research. 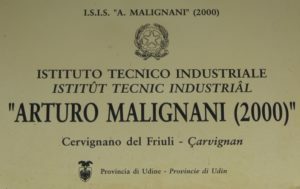 At the same time, with an even more noble significance, the foundation stone of the construction site will be laid in the garden of the Technical Institute for the “ex situ” reconstruction of the Base which has been left in neglect and abandonment for 42 years in Italy Valley (official name) in the Antarctic Peninsula.